I want you to take a good look at this photo. 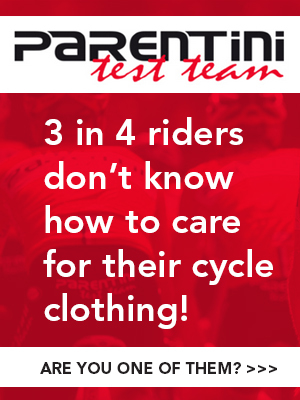 Forget the many black and white photos of model cyclists, mock grimacing to sell ‘suffering’ to the cycling masses, this photo shows real suffering, warts and all. 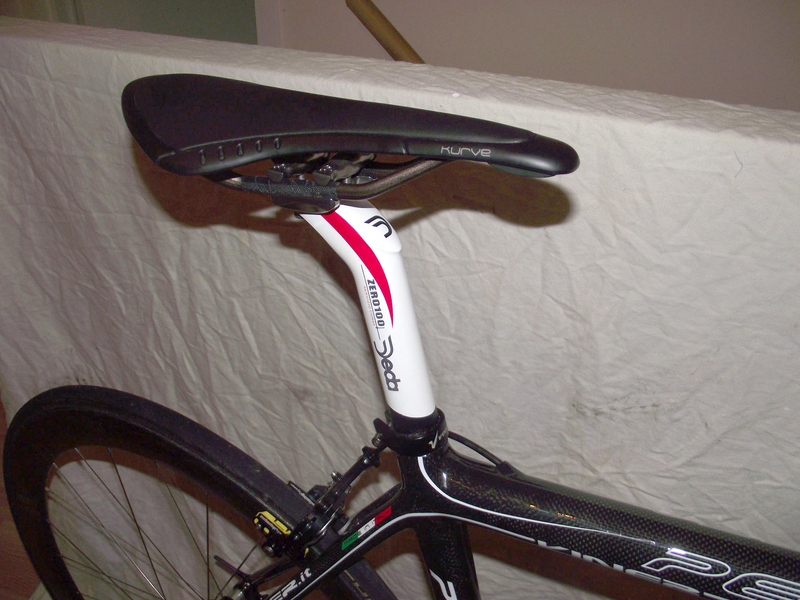 Most cyclists will recognise this. And if you don’t, I pray you never succumb to these levels of fatigue, pain and degradation. 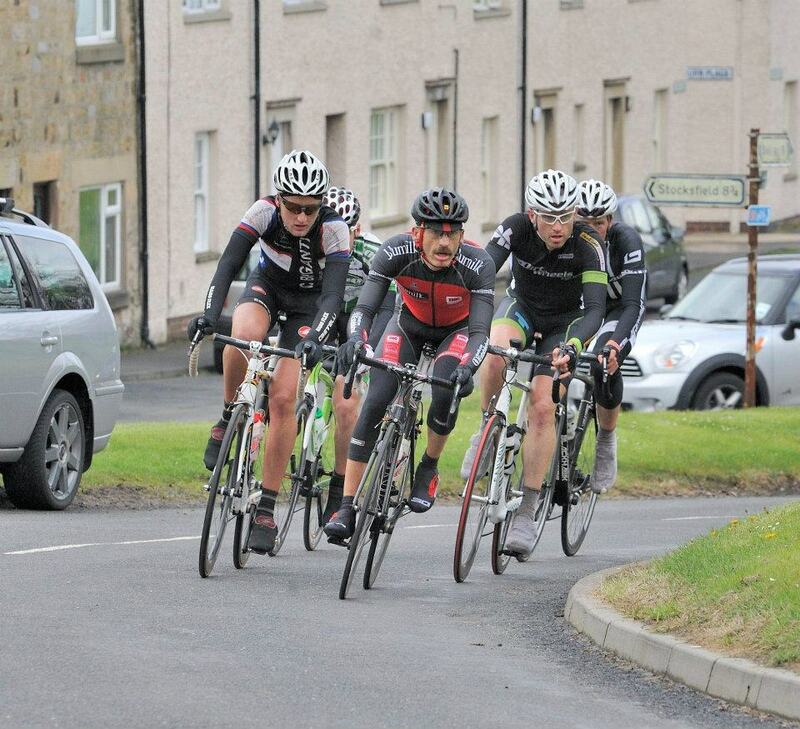 66 miles previously my brother was a King of the Road, driving a break of 5 in the Sloan Trophy Road Race, riding strongly on his Viner Perfecta along the hard man’s route in Northumberland. The wet weather didn’t seem to bother him, after all he’d ridden in worse weather in the Northern fells. So as the freezing hail started to batter him on the last lap, he just carried on, plotting how he was going to beat his fellow escapees, and cross the line first. Then the attacks started happening. Karl could go with them, but suddenly in the last kilometre, he’s legs felt weaker. He started crawling, the weakness enveloping him as the cold bit hard. Now it wasn’t about winning, it was about getting to the finish line in one piece. A group of three riders who clipped off from the chasing bunch pass him alarmingly quick. He’s now 8th on the road but he doesn’t care now. He needs food and the finish can’t come quick enough. He’s spectacularly crossed that fragile line that exists for every cyclist – the line that haunts all of us, where suddenly we cross from a superman to riding like a 5 year old child. 200 yards to go and the ‘bonk’ or hunger knock hits hard. He can’t lift his head, even his neck muscles have given up, and his eyesight starts to go. He wobbles over the line and collapses, seconds before the remnants of the bunch thunder through, sprinting for the remaining points. 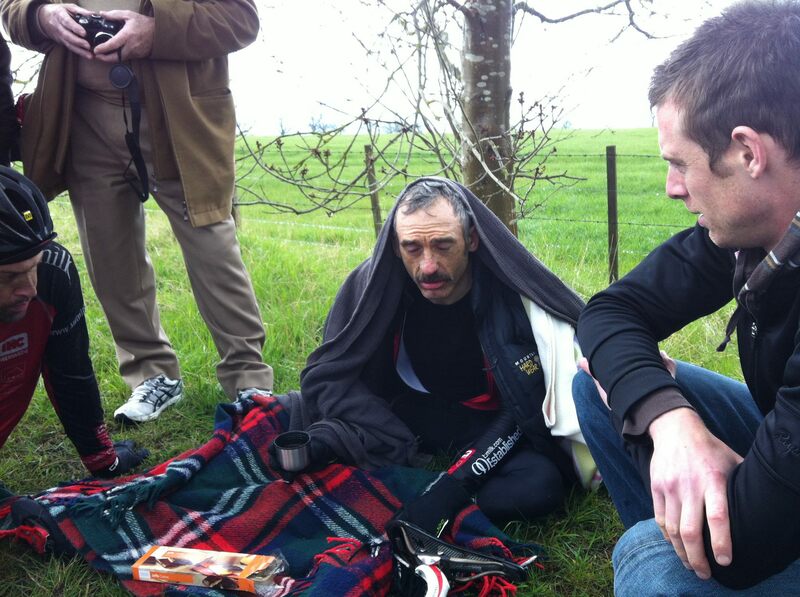 He’s then carried to a dirty wet patch on the side of the road, a blanket thrown over him and given sustenance. How the mighty fall. Karl now looks like a victim of the Great War, shivering with shell shock. There’s no comfy team bus to sit in. This is grass roots racing, where the hardmen survive. Karl’s a hardman, but today wasn’t his day. He crossed the fragile thin line. 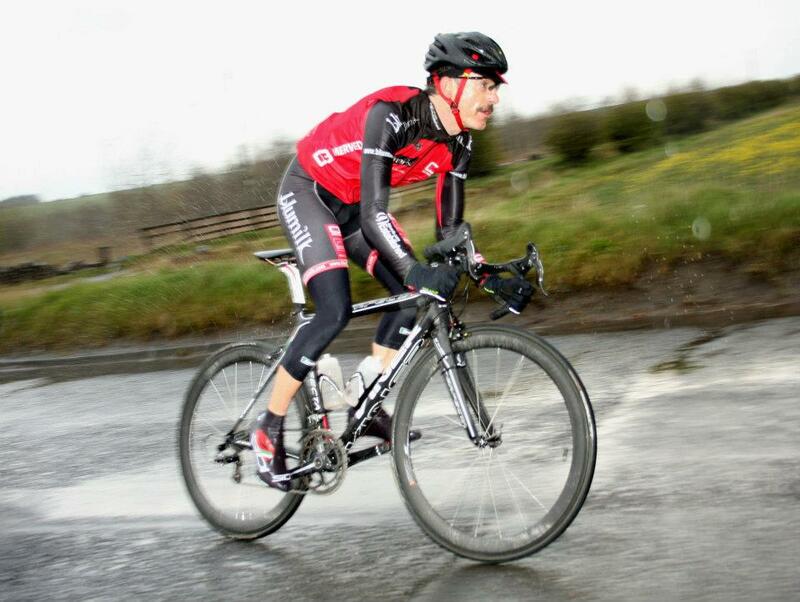 Photos of Karl in the Sloan Trophy, driving the break and looking strong. 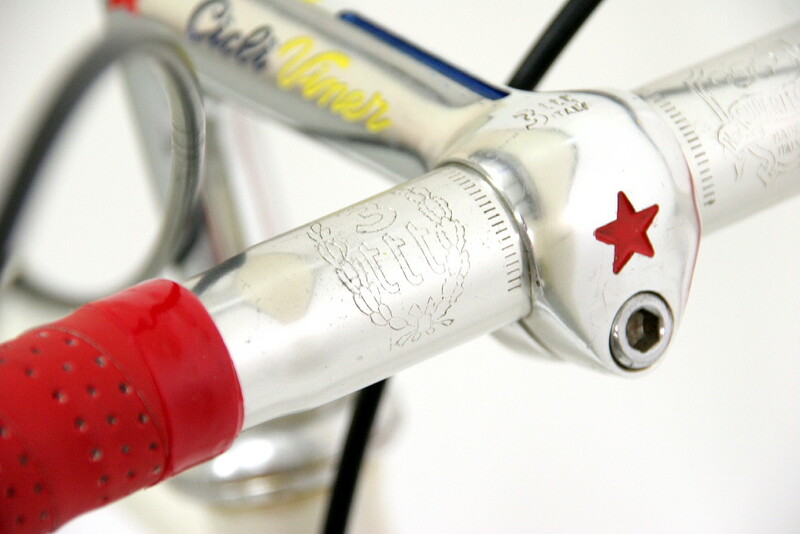 I’ll be the first to admit I didn’t expect to get so passionate about Viner, but once you’ve ridden one you understand. Steven Gordon-Head understands as well. 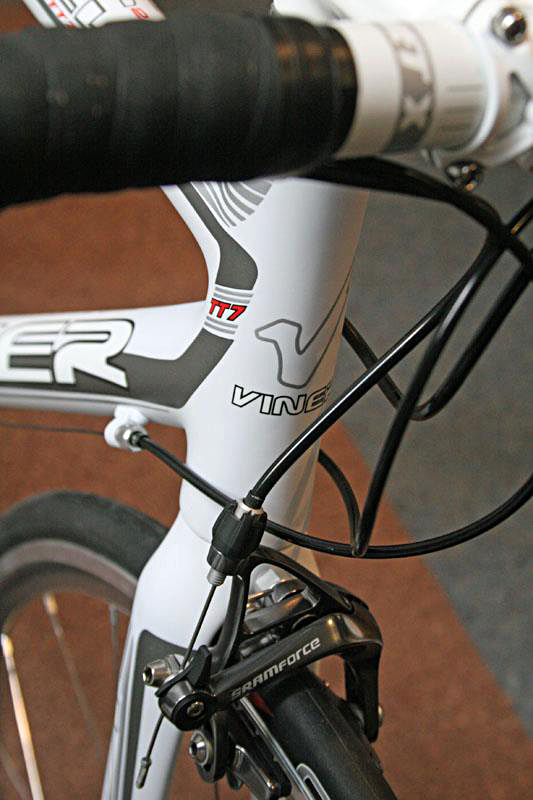 A newcomer to cycling after many years rock climbing and skiing, within a month Steven had bought two Viners. 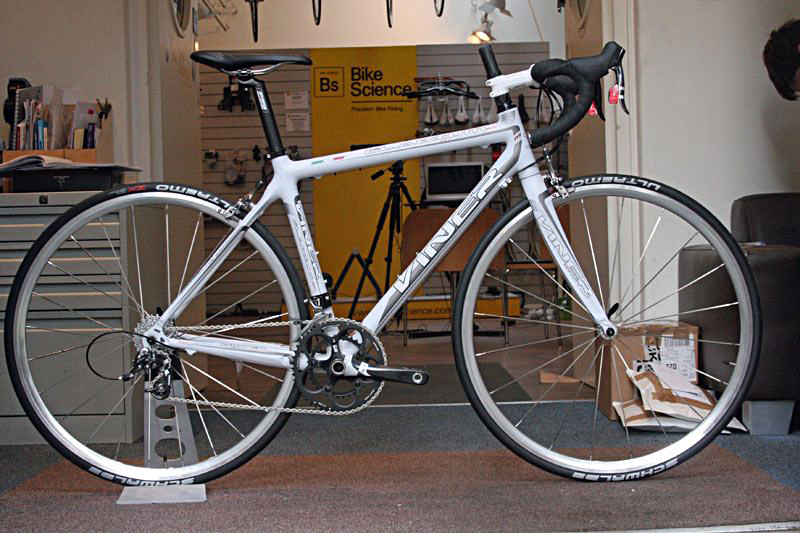 His aluminium Icarus was his first ‘proper’ road bike, and was purchased from Pure Motion, just around the corner from him. After a few rides of his Icarus, Steven’s Viner bug bit hard. 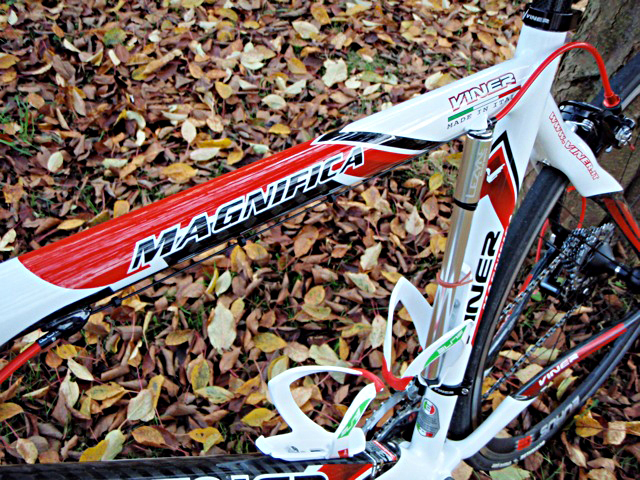 A few weeks later he was the owner of a 2010 ex-stock carbon Magnifica. 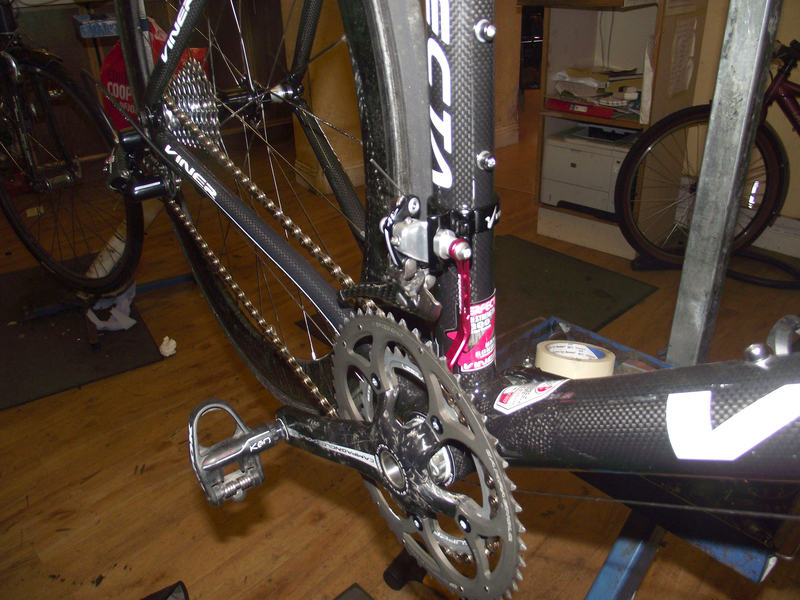 Although this new bike had a similar build and look to the Icarus, the ride was very different. 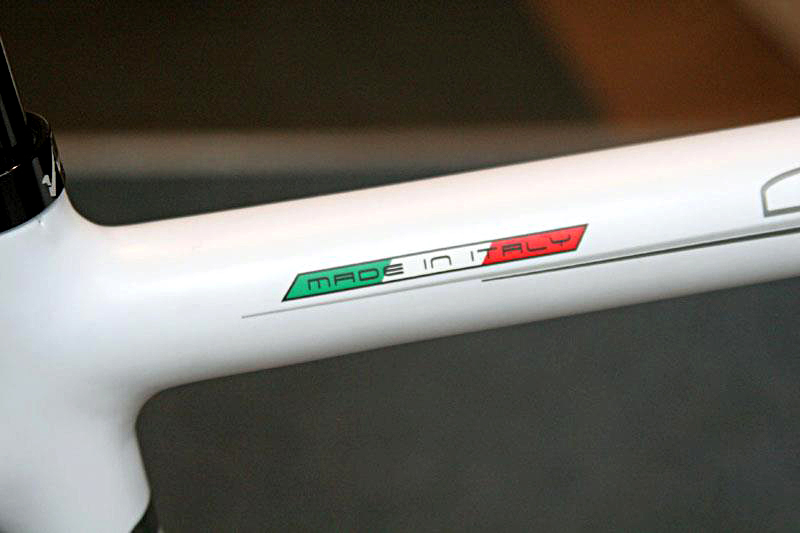 “By comparison to my Icarus the Magnifica feels like a whippet, put the power down and it goes, is much more comfortable riding over the road. Cornering is much more positive, like thinking I want to go there and lean and its round. My first ride was a solo 40 miles and it felt like I popped round the corner. Interestingly I have noticed that my average speed has risen by over two miles per hour and it is much easier to hold high speed now. 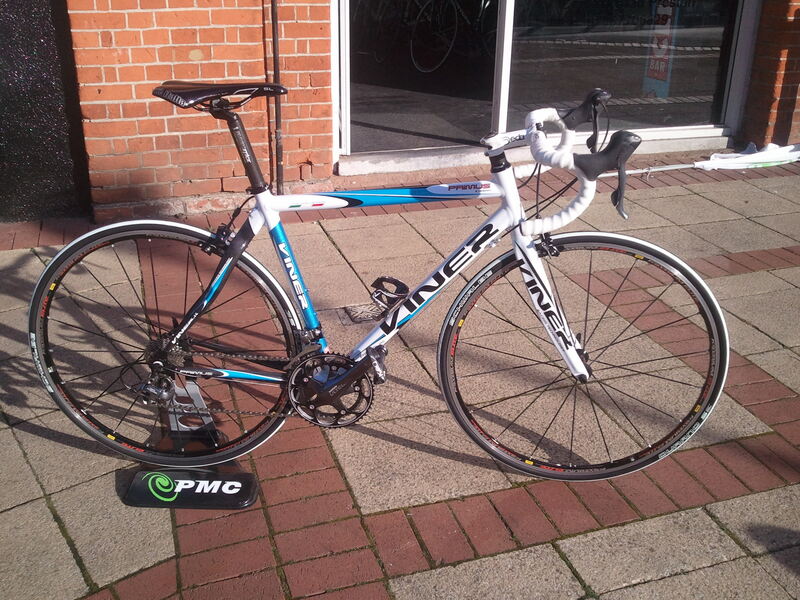 Looking forward to riding it in my next event. Well after nearly a year my brother’s Perfecta 2.11 is finally built! The story of the build is a heartbreaking one. 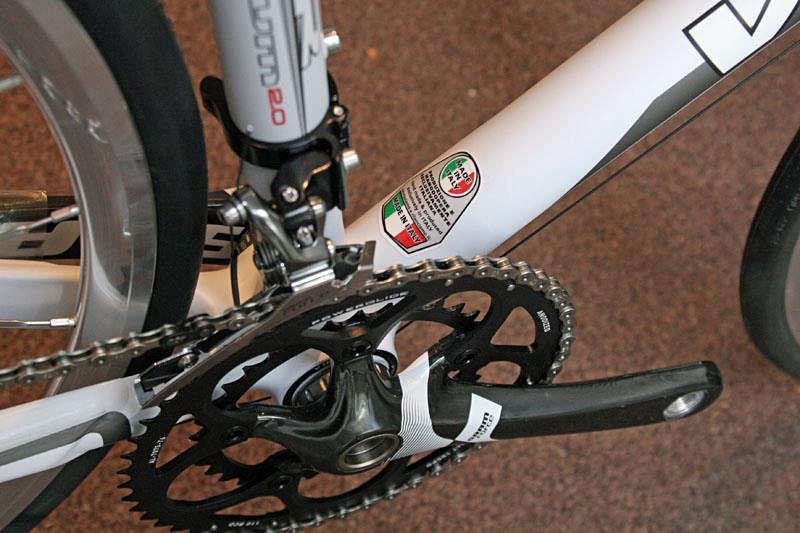 After he got all the various kit to build up onto the frame, he suffered a break-in at his flat – resulting in all his still boxed Campag equipment going missing. 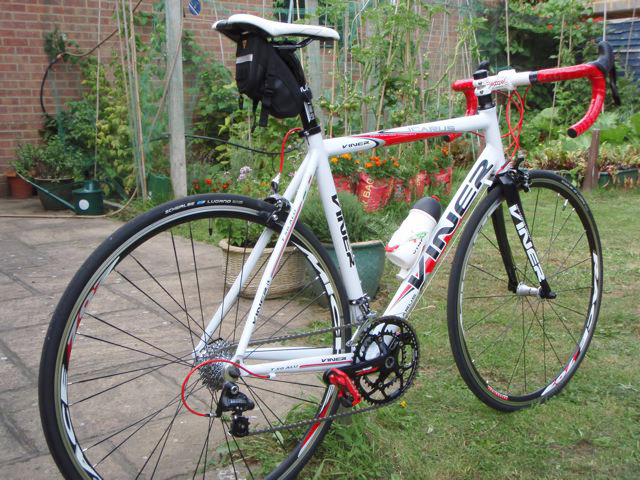 He also had a training bike and his beloved Orange MTB nicked as well. It took Karl a while to sort out the kit again, and by the time he’d assembled it all, winter was apon us. So he took his time and built it up over the last months and finally it’s finished! His Perfecta boasts a mix of Campag Record and Chorus 11spd, a pair of Planet X CNC Superlight brake calipers, Deda finishing kit and the new Fizik Kurve saddle. 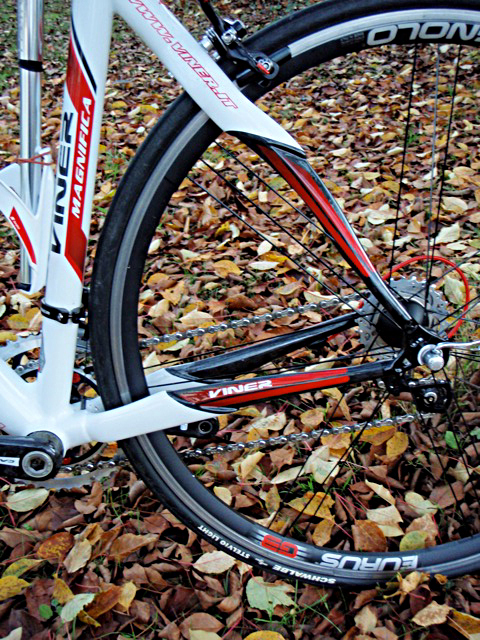 Because of the recent ice and snow, Karl has only ridden his Perfecta on the rollers – but he’s already noticed a big difference from his Ribble. It fits him like a glove and he’s been spinning 53×11 easily on the highest resistance setting! He can’t wait to get out on the road on it. His choice of seatpin colour has polarised opinion though. People either love it or hate it. Personally I love it. 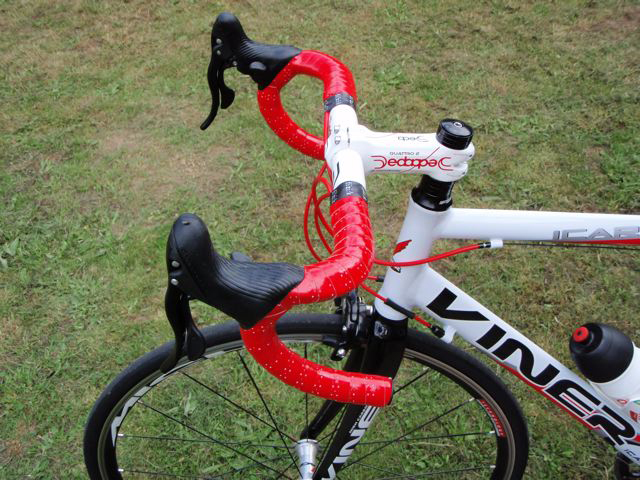 It adds a nice contrast, and no one ever bats an eyelid if a white bike sports a black seatpin, so what’s wrong with doing it the other way round? Hopefully a road test report will appear soon. 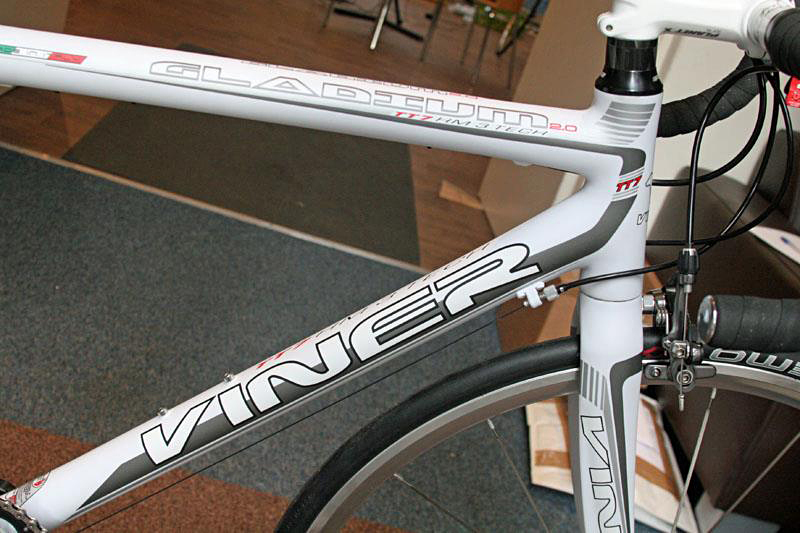 As I suspected, the new 2012 Viner Gladium 2.0 is proving a popular choice. 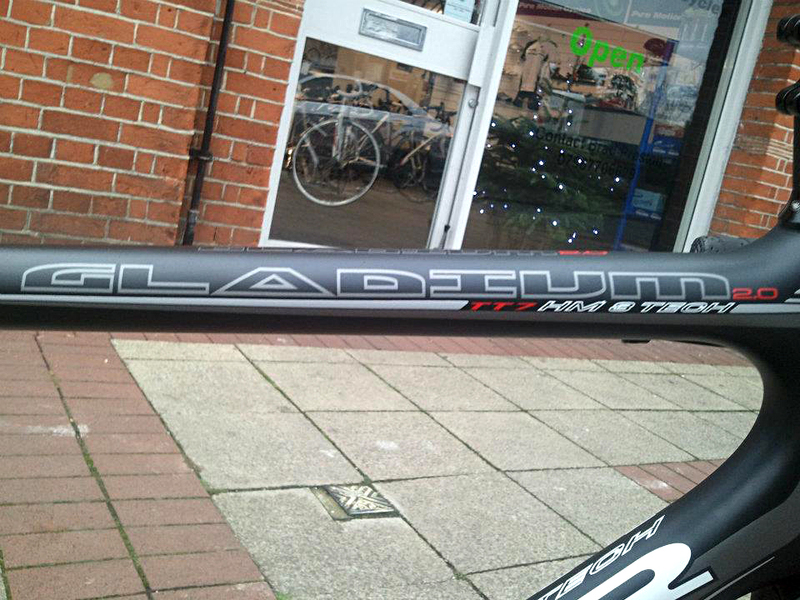 The guys in Pistoia made a wise choice with the new Gladium – a full carbon made to measure frame at a lower price point is certainly going to introduce more cyclists to the brand. 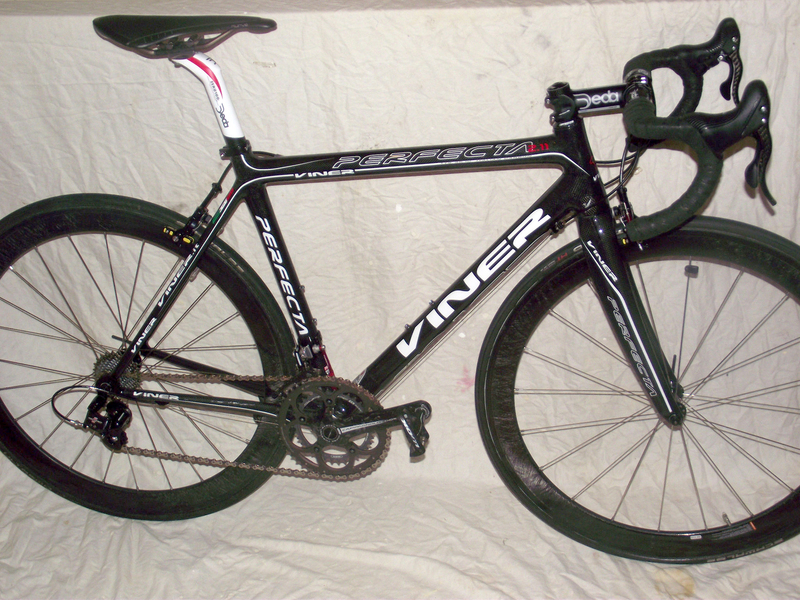 I haven’t heard or read any ride reviews of the new frame yet, but I suspect as with all Viner’s that they’ll handle brilliantly. 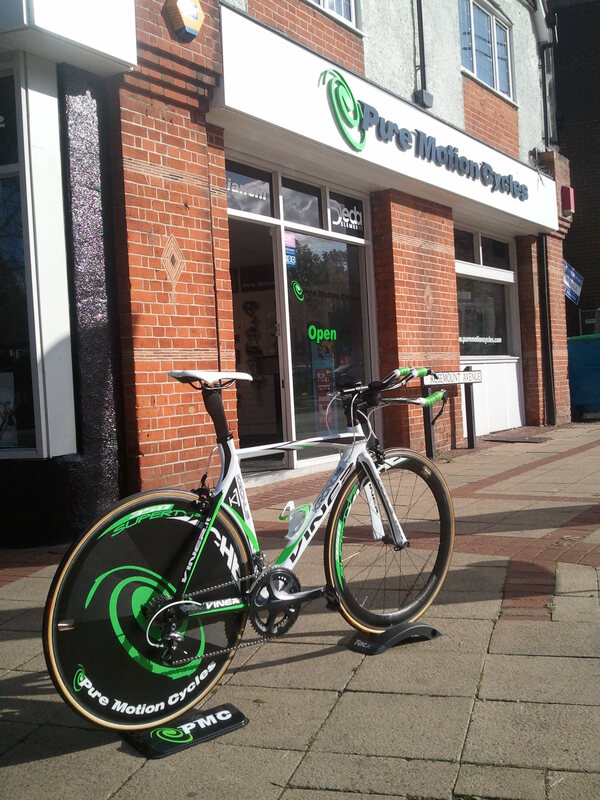 These two bikes have been built up by Pure Motion Cycles and Bike Science for two lucky customers – hopefully the owners will get in touch and send me a ride review! 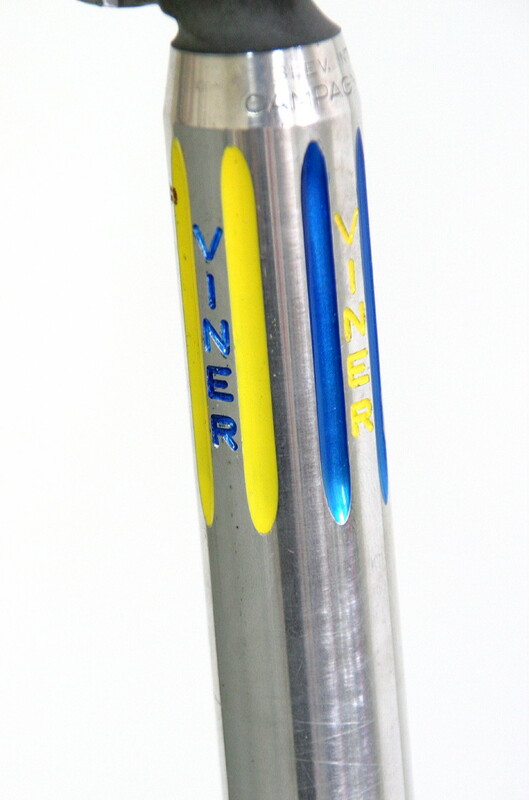 Remember these two Viner dealers offer a full bike fitting service, allowing you to get a perfectly fitting (and therefore handling) Gladium. 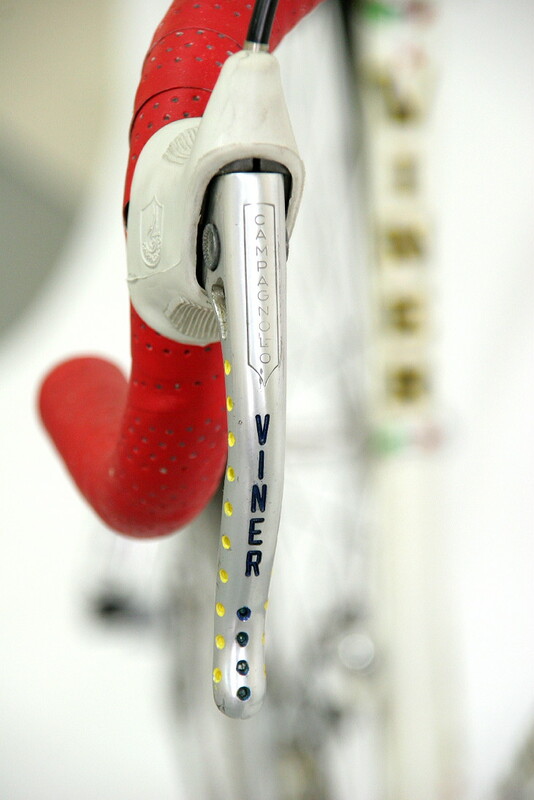 I recently received these stunning images of a Viner Special Professional from Brian Stanwyck of Viner UK. 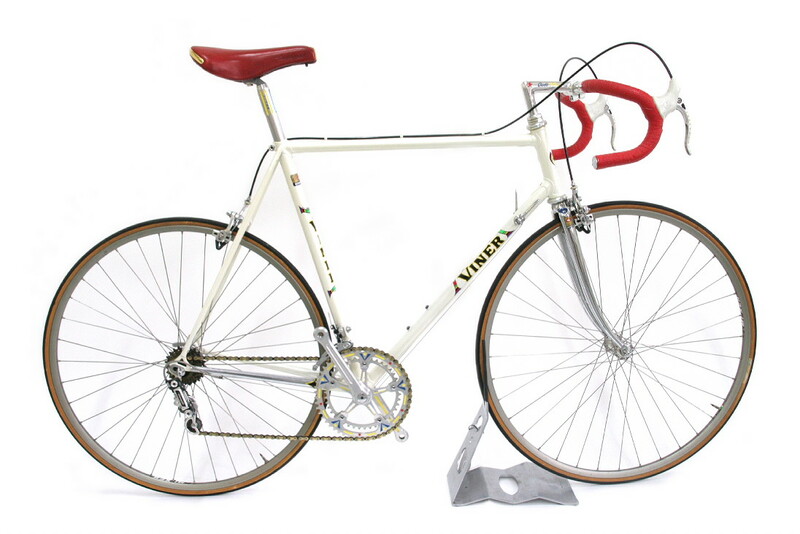 The bike belongs to a friend of his, Ray Gibbs, who picked up this immaculate original in Italy via eBay. 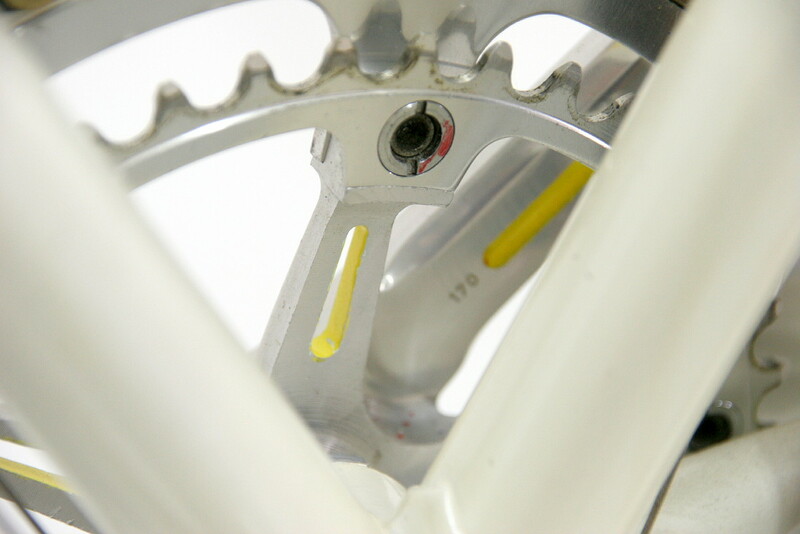 It appears to be a mid to late 70s version, pearlescent white, resplendent with Campag Super Record, and beautiful, detailed pantographing. 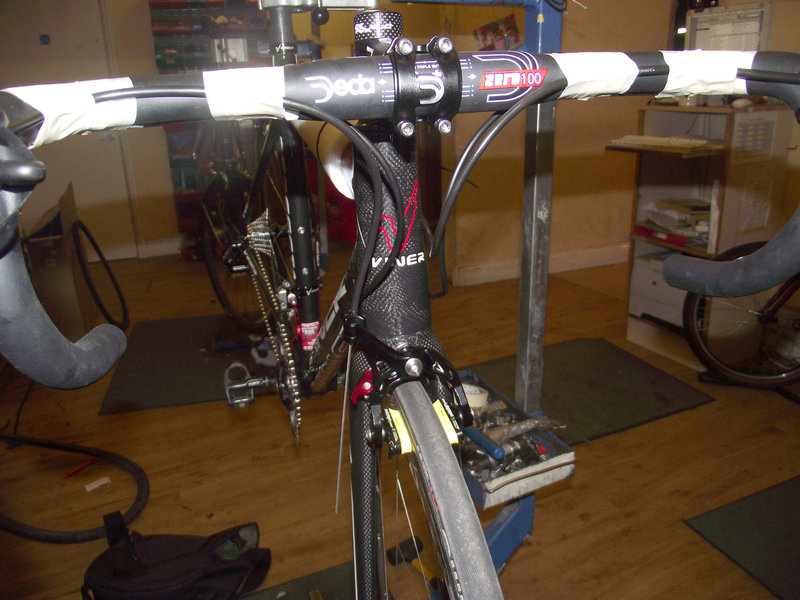 A very rare cherry coloured leather Campagnolo Electa inflatable saddle provides the rider support. The Electa saddle sported a thin inflatable tube under the leather cover which could be inflated to the rider’s desired comfort. 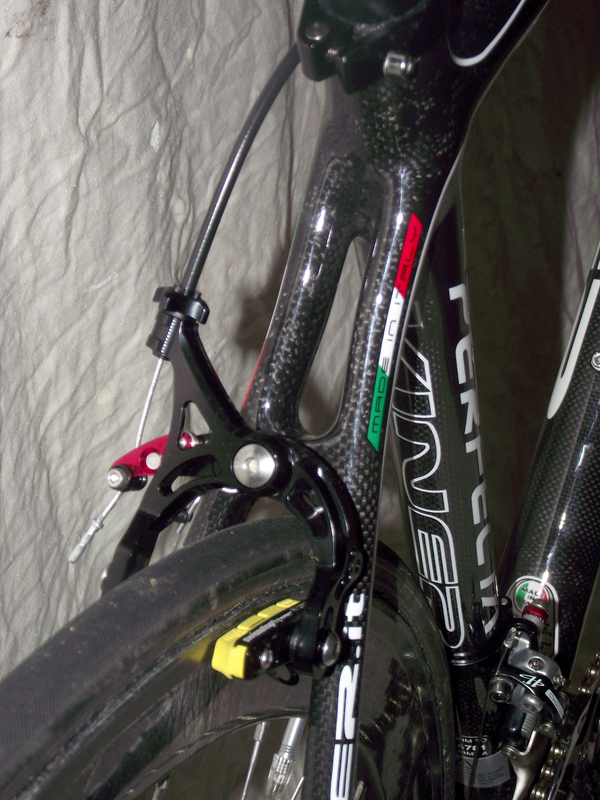 If you look carefully you can see the presta valve just poking out from under the nose of the saddle. This was pumped up using the supplied rubber bulb. All in all a stunning way to start a new year. When I left Art college in Loughborough, I ventured down south and eventually ended up working in Covent Garden. 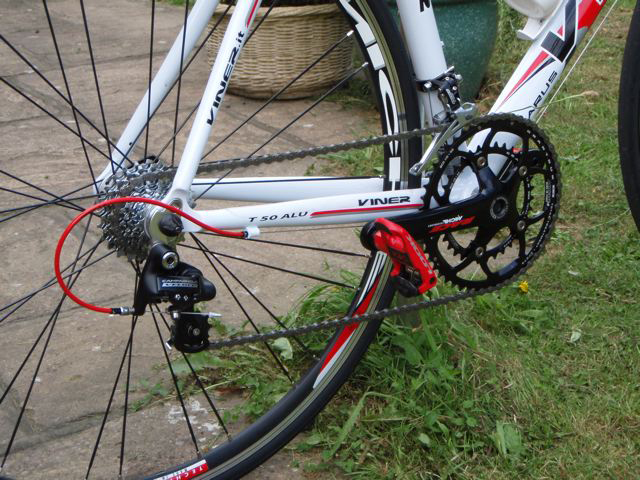 I took my bike with me, and living in the Twickenham area eventually discovered the North and South Downs. Now being a young northener with a chip on my shoulder, I thought the ‘south’ didn’t have hills or hard terrain. How wrong I was. 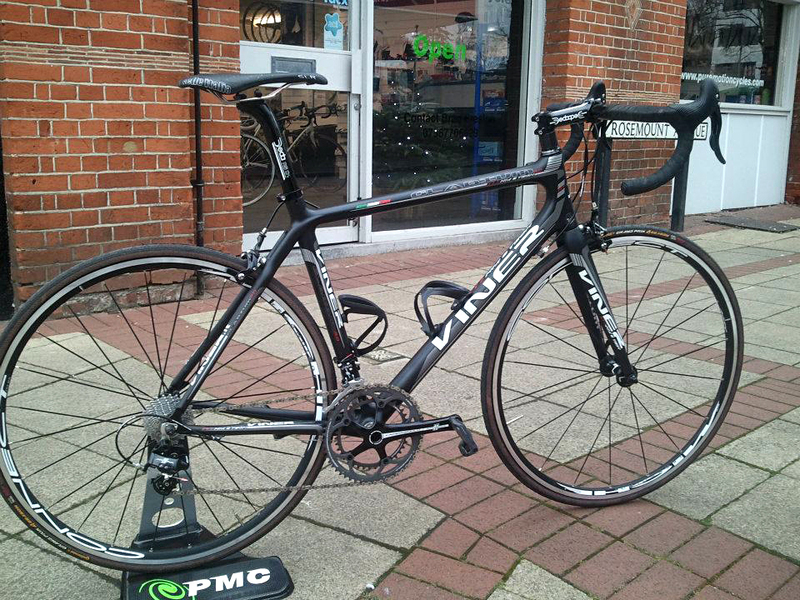 I still have fond memories of rides out with the Twickenham CC, discovering the beautiful lanes in Surrey and Sussex, and toiling up climbs such as Leith Hill, Box Hill and Ranmore. They also had cracking descents. Problem is I didn’t have a Viner then to enjoy them. 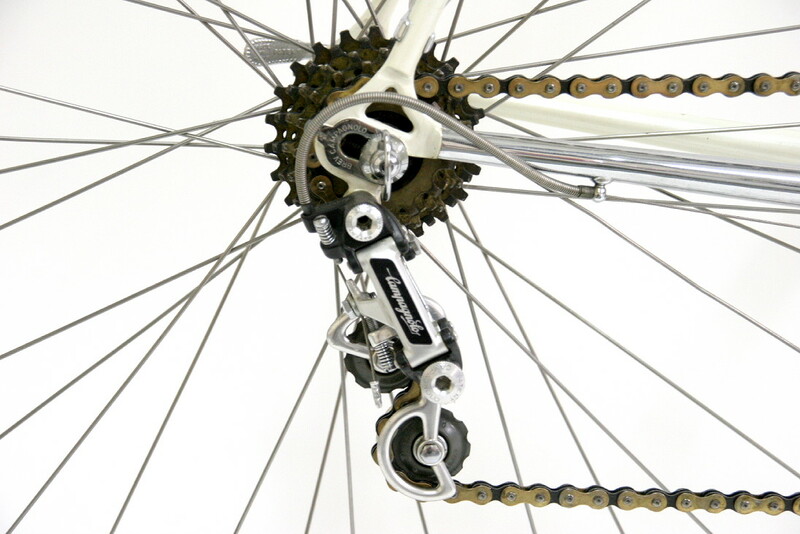 It’s a shame Pure Motion Cycles weren’t around then. I used to ride through West Byfleet quite a bit. I’ve no doubt if I still lived in South West London I would be a regular there, gawping at the Viners they have on display. 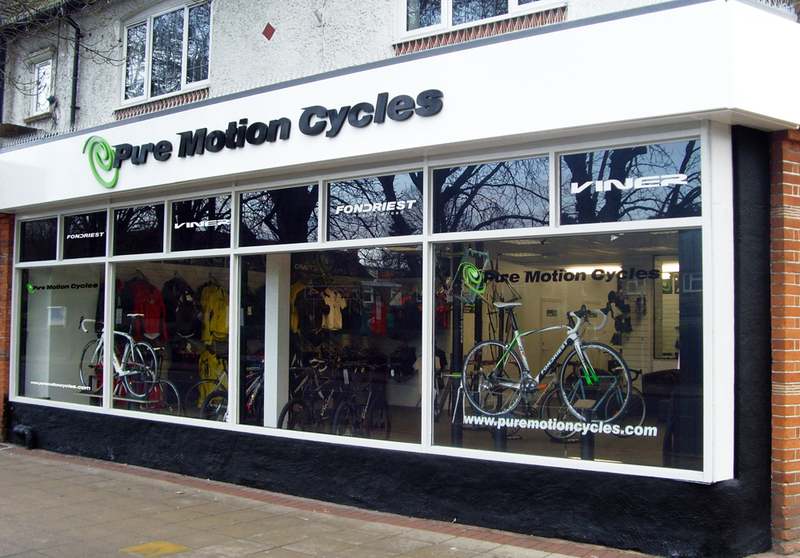 Brad and Andy had always been Italian bespoke steel frame fans, so it was only natural that when they set up Pure Motion Cycles, that they become a Viner dealer. 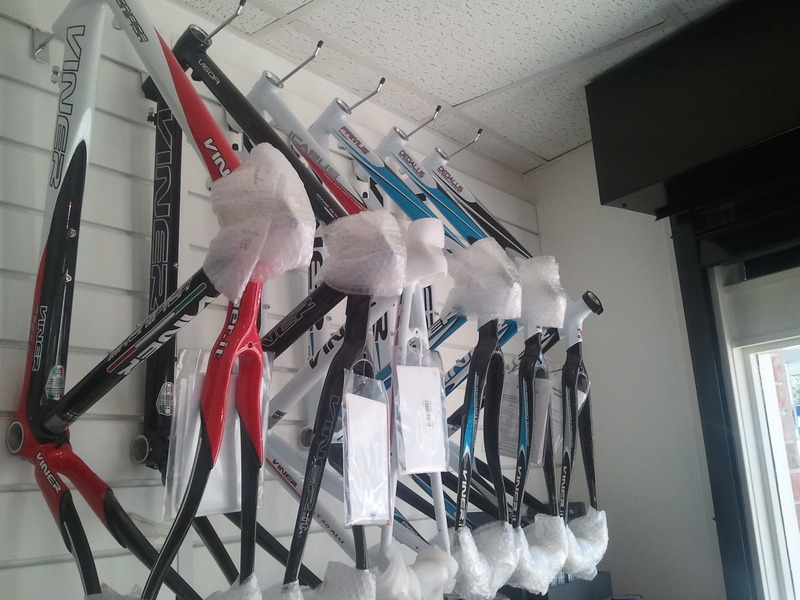 They stock a lot of the range, including the steel Divina and Passo, the alu Primus and Vigor Plus and the full carbon frame range including the Titan Karbon. 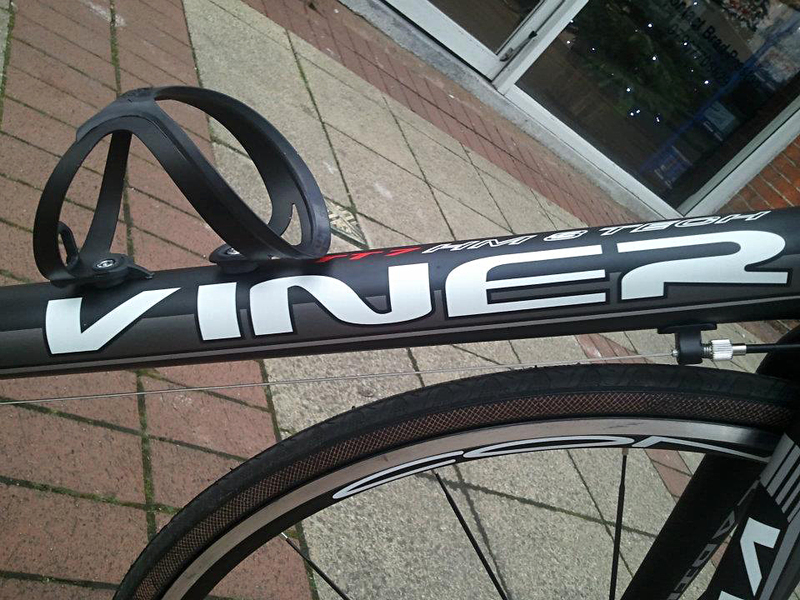 Boasting (like all Viner dealers) a full fitting and measurement service, they custom build every Viner bike, getting in the finished frameset and building it to the customers exact specification, most of their top end framesets being made to measure. 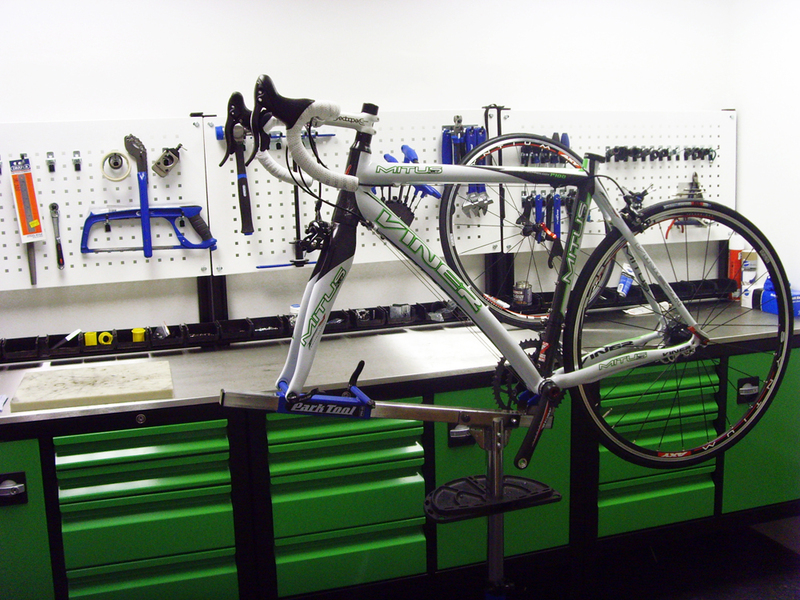 Their finished builds are also pretty eye catching, most sporting colour coded brake cable housing and handlebar tape, and quite a few sporting the Pure Motion lime green colour (like the Kronus pictured above, built for a local triathlete). 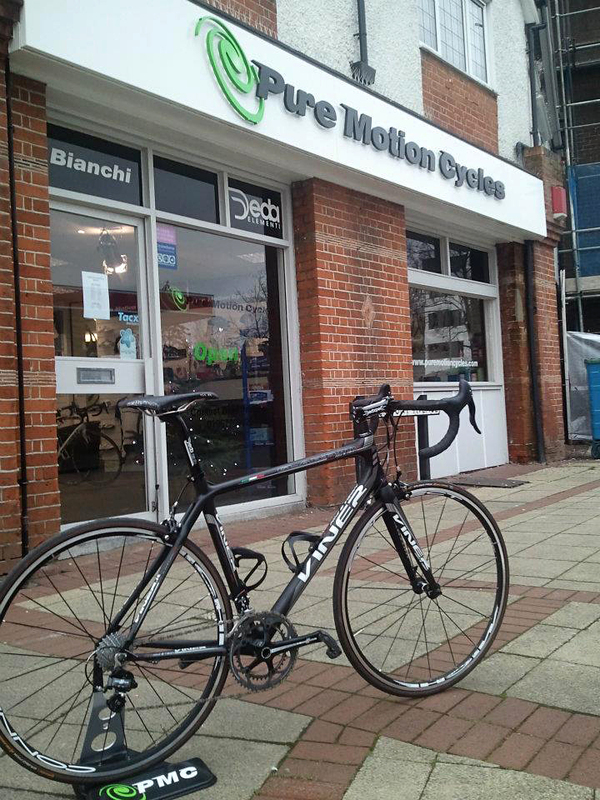 Pure Motion are also a Miche carbon wheels test centre, and have quite a few built Viners to test ride. 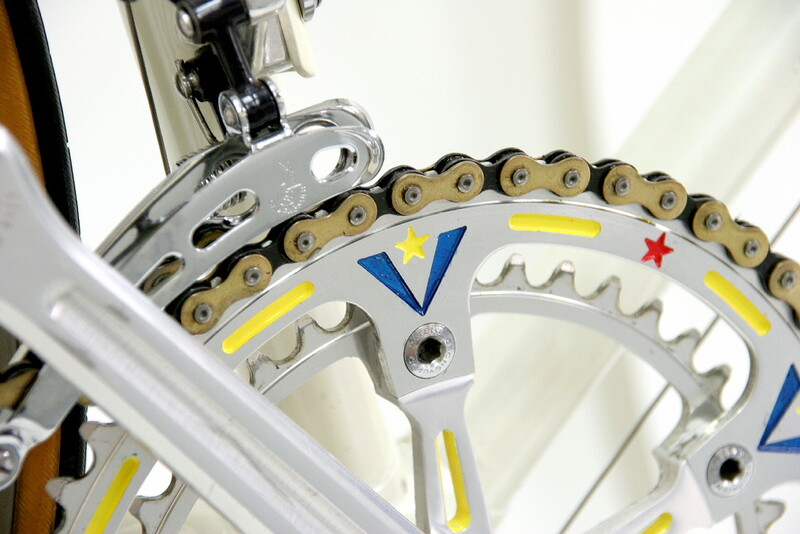 “I heard it said once, that having beauty around us in our day-to-day lives greatly enhances our overall quality of life, which I would have to agree with – especially when beauty comes in the form of a bike. 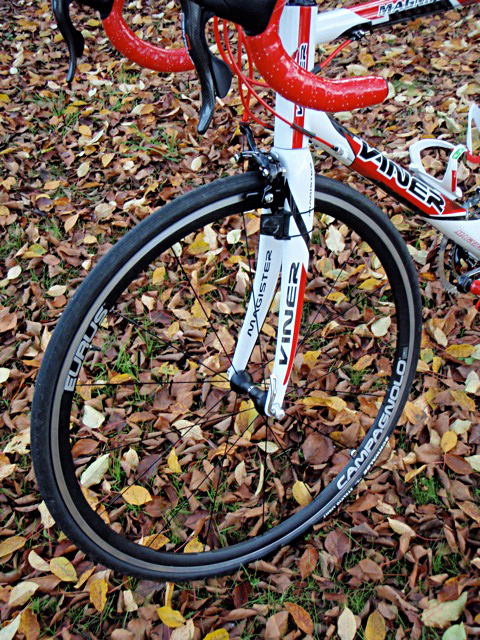 In my opinion, the VINER Perfecta that I rode this season, is as as nice to look at as it is to ride and race. And that goes a long way with me because admittedly I enjoy things that operate exceptionally well, but also look good do it – form and function come together in this bike like the two halves of DNA’s double helix.